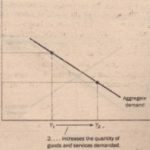 Having introduced the economy’s aggregate-demand curve and the long-run aggregate-supply curve, we now have a new way to describe the economy’s long-run trends. Figure 5 illustrates the changes that occur in an economy from decade to decade. Notice that both curves are shifting. 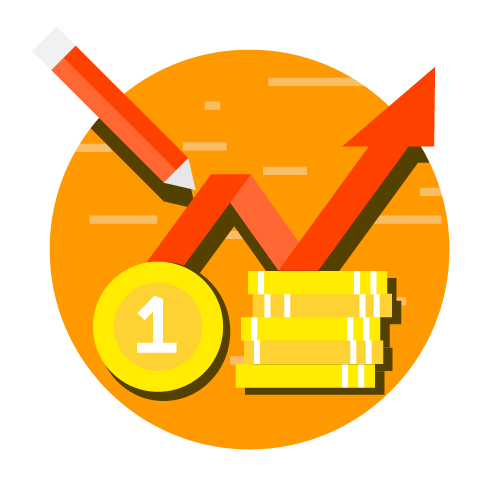 Although there are many forces that govern the economy in the long run and can in theory cause such shifts, the two most important in the real world are technology and monetary policy. 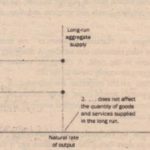 Technological progress enhances an economy’s ability to produce goods and services, and this increase in output is reflected in the continual shifts of the long-run aggregate supply curve to the tight. 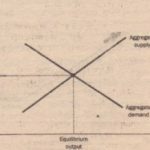 At the same time, because the Fed increases the money supply over time, the aggregate-demand curve also shifts to the right. 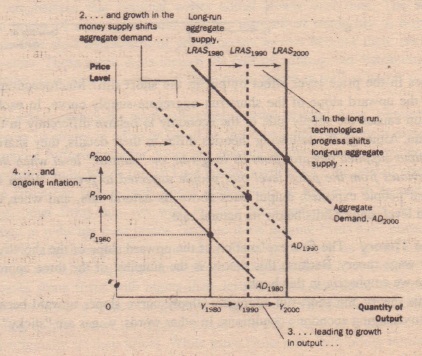 As the figure illustrates, the result is trend growth in output (as shown by increasing Y) and continuing inflation (as shown by increasing Pl. 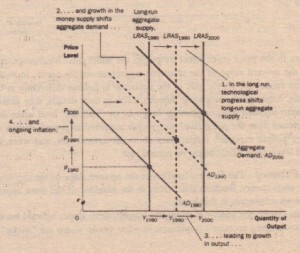 This is just another way of representing the classical analysis of growth and inflation we conducted in earlier chapters.